I don't normally participate in tags, but I spotted this on Cocktails in Teacups earlier today and me being the Disney fanatic that I am (to say the least) I thought I'd take part myself. I've been into all things Disney for as long as I can remember, and despite a few people thinking that it's sad or childish I can't get enough of it. 1) A scene in in any Disney movie you wish you could experience. The first thing that sprang to mind was the boat & lantern scene from Tangled. It's so beautifully composed and romantic and I can't even put into words how much I love it. The Fairy Godmother scene in Cinderella would be amazing to experience too, and being a mermaid was something I always wanted when I was a kid! 2) An unforgettable experience moment you've had at the Parks. 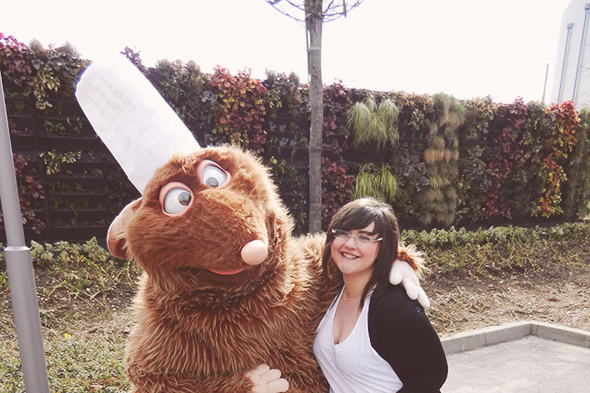 So far I've only been to Disneyland Paris (albeit 5 times and twice last year) but I have loads of memories from them. I remember being picked out to join the dancers in the parade when I was around 5 years old and although I was the shyest kid around I absolutely loved it. Seeing Disney Dreams for the first time was entirely overwhelming too, it genuinely made me cry. There's nothing I can say that can describe how amazing it is, really. Oh and the Tarzan Encounter when it first started! 3) What non-Disney song(s) reminds you or brings back memories of Disney and/or the Parks? I'm not sure about non-Disney, but Magic Everywhere from Disney Magic on Parade reminds me of my two trips in 2012. 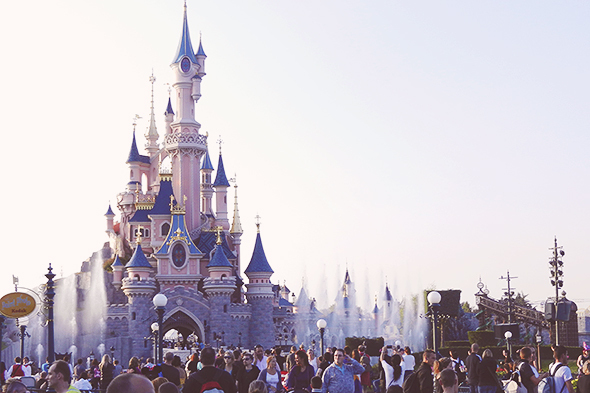 4) When was the first time you went to a Disney Park? I would have to double check with my Grandma on this one but I think I was around 5/6 years old. I remember getting so scared of the "Honey I Shrunk the Audience" 3D film I came out crying and stole my little sisters buggy for the day! 5) If you could choose any of the characters to be your best friend, who would you choose? I'm a big fan of the Genie. Robin Williams is a comedic genius and that's probably part of the reason but he's such an entertaining character. Belle and Rapunzel. I also think Tiana from the Princess and the Frog is very underrated - in fact I think the entire movie is. Belle was my favourite princess growing up and I have serious hair envy when it comes to Rapunzel. I love Tiana's headstrong nature too. I'm not sure where to start with this one! Mufasa's death? "Love Will Find a Way" from the Lion King 2? The beginning of up? Maybe a better question would be "What Disney movie never makes you cry?" I'm not 100% on which Disney movie I first remember seeing, but I do remember going to my Grandma's from the doctors when I was little and my Mam had bought me The Lion King to cheer me up. I don't have any one particular favourite but I never grow tired of Ratatouille, Aladdin, The Lion King 2, Tangled... this list could get pretty damn long actually so I'll leave it at that. Me and Emile at Easter last year. Was so happy that I spotted him, and despite some pushy people trying to shove me out the way I was beckoned back over for a picture. I tag anyone that loves Disney! If you do write this up please leave me your links as I'd love to read them! Ah I love this tag :) The top picture is absolutely gorgeous! I love Tangled, bought it on Blu-ray the other day I was so happy!